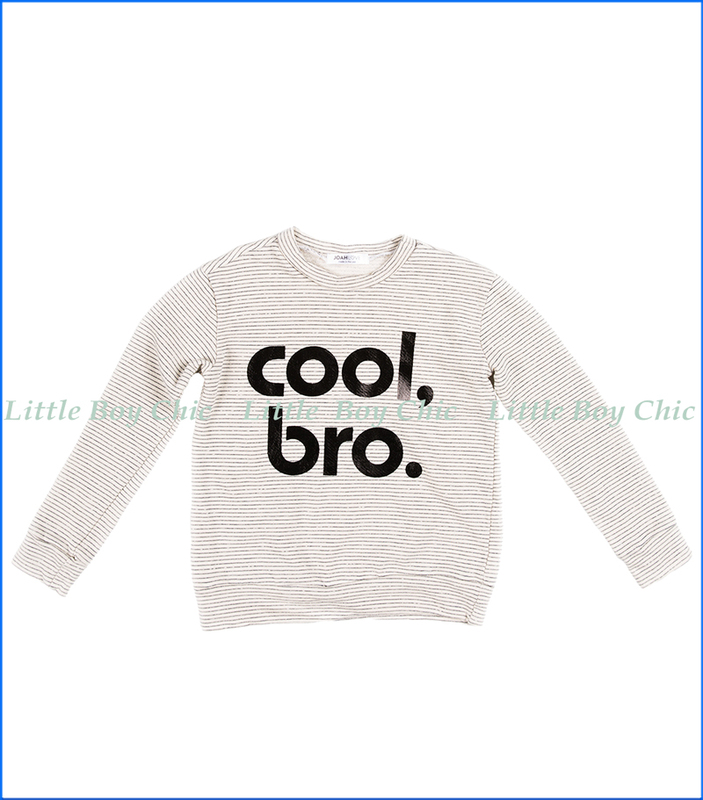 The popular "Cool Bro" series from Joah Love returns in this lovely creamy sweatshirt. French Terry fabric blend gives a soft hand feel. Then stripes throughout. Pair with Joah Love's Rocco French Terry Harem Pants to make a great gift.